A new kid appeared “on the block” a few weeks ago. We had heard about the possibility when chatting with a young Mom. She explained that her kids wanted a puppy etc. etc. etc. My reaction was very reserved as my thoughts went to whether the Mom knew who was going to be looking after it once the novelty had worn off for her kids and they were doing other things. They do seem a nice family though so perhaps all would be well! Allow me to introduce Java (on our front porch)! Unfortunately, this was not a planned visit. We saw her wandering around further down the road and could not see anybody around to watch her so, while I kept Ray company on the front porch, Carol walked down the road and started talking to neighbors (who apparently were also concerned about Java but were trying to leave in their car). We saw Carol pick up Java and then she disappeared down a driveway! I was getting curious, and Ray was getting rather vocal as he could not see Carol, so we both headed down the road to see what was going on! It would appear (to be confirmed) that Java had been left in the back garden while the family went out… and she quickly found a way of getting out. When we are on the porch with Ray, he has two leashes tied together to give him some extra space if he needs it so, when we found Carol, we separated his leashes so that each dog could have one. We then told the neighbors to go wherever they had to go, and we would take care of Java! We brought her back to the porch and she was clearly very thirsty and dived (almost) into Ray’s water bowl. Ray was looking a little bewildered so we ended up with two bowls with water on the porch floor! Once Java had satisfied her thirst, she decided to play with the water bowls by “digging” in them with her front feet; standing in them, and eventually knocking them over! What was Ray doing throughout her antics? Another Post! Mom’s not going to comment because she said, “If you can’t say anything nice don’t say anything at all.” She did want me to say thank you for taking care of the puppy – so that’s nice, right? Hi Tink – I agree. It’s not very nice to be left on your own. I believe my Mom and Dad are going to talk to Java’s Mom. Woof! Ray. Oh goodie. I hope that puppy’s parents can hear it and embrace the assistance. to learn to be good dog parents. 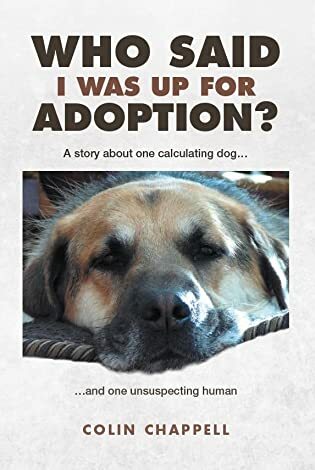 Many years ago, when Mom got her first dog when she was married and in grad school (which got her started on Shih Tzus), she bought a bunch of books about us, and she got a lot of great advice from the breeders. Hi Tink. Education is just so important isn’t it! So many humans think that taking care of us, and helping us to grow into responsible canines is intuitive. Boy… are they ever wrong! BOL! Ray. Mom says it takes learning how to listen and look from a dog’s perspective. The two-legses have to be helped to understand how we work. I LOVE it when the 2-legses at my Cheers bar welcome me when I come in and as I sit on my very own bar stool with my very own drink (but not her kind, except when she drinks water). It’s great to hear them tell Mom what a well-behaved dog I am. We go every Sunday nite to hang with my fans at the Trivia tournament. We’re the mascots. Everybody knows my name, too! OMGoodness, R. That may be the cutest intruder ever. I hope her family learns how to keep her safe so the whole neighborhood doesn’t have to watch her. Good luck, buddy! Hi Cupcake. She was a bit of “pain” really. Always leaping around and trying to nip me but, as she was a youngster, I just stayed out of range! Woof! Ray. Java looks like a cute puppy dog. Guess he wasn’t chipped. Who takes care of Java kids or parents? What kind of dog is Java? Yes she is very cute. Whether she has been chipped or not is an unknown to us. Who takes care of her? That’s the jackpot question! As are we! Of course we cannot tell without having her scanned. Just like with my morning java, I want more! Chances are that Java’s guardians might not be so thankful. I once picked up a half blind Maltese that almost ran under the wheels of my car. I took the pup home. Then I called the local radio station to say I had found the lost pup…I didn’t know who it belonged to in the neighbourhood. I had to go to work, but a friend stayed with the pup in my house. My partner was there, but he also had to go to work. Meanwhile, the local humane society heard the radio announcement. They called around to my house and my friend handed the pup over to them as no one else had been in contact. Later that evening the owner of the pup arrived at our house. It turned out that she was from three blocks away. My partner knew her. She ripped into him for not recognising her pup and then into me for letting the humane society take her away. It apparently cost her a fair bit of money to get the dog back from the humane society. People don’t appreciate that their pets could be easily run over…really annoying when they blame you for doing the best you can for their pet! No collar, no lead, not chipped in those days! What a little impishish fur-ball. Hope everyone survives Java’s puppyhood easily and escapes are few and far between. Glad you and Carol were there to take care of this little pup until her family returned. And I hope this taught them why they shouldn’t leave her alone in the yard when they leave! Sometimes people mean well, but don’t understand how to properly care for a new dog, particularly a puppy. It’s a learning process, that’s for sure! Java is fortunate to live on a street with caring neighbours like Carol and you. Oh, how I wish families would spend time with adult and senior dogs before taking home a puppy. Puppyhood is such a short time relative to the adult years. Children often lose interest. Parents need to accept this happening and realize that they will be taking on the care of the dog. Dogs are not toys that can be played with for short periods of time and then shelved until you feel like it again. Well, I will get off my soapbox and hope that Java’s escape was a one-time only event. Beautiful shots of her. I totally agree with your soapbox presentation, as I expect will most of my Followers! We can only wait and see how Java’s future develops. Hmmm…sounds like some crate training needed (and the rest) for the puppy and ‘how to look after a puppy’ training for the humans. They’re a gorgeous breed but like most working breeds they need stimulation. So cute that you taught him to wash his little paws, lol. I foresee that Ray and his Humans will be doing a lot of puppy-sitting in the future! what a little sweetie who also looks like a handful. Hope her new family is up to it. Hopefully they will learn from this lesson. Java is such a sweet little dog. I am so glad that you are looking out for her. Will she be Ray’s little girlfriend ??? Adorable looking puppy, but scary to think what may have happened if you and Carol wouldn’t have been there for her! i really hope that was the last incident of its kind. Anxious to hear of Ray’s reaction to this frisky puppy! What could have happened is she could have ventured out onto the street and met an untimely end. Yes, very scary and sad. I do hope the owners listen to you and Carol when you go to talk to them. I can’t tell if Java is an Aussie or a Collie, but definitely not the best choice for someones first dog. Both breeds are crazy smart and have so much energy, which makes them wonderful pets but only if the owner puts in the work. Regardless Java is lucky to have you and Ray in the neighborhood, and I bet as she grows and learns both you and her owners will get a lot of laughs in. Awww, I hope it works out. Aussies are awesome. While puppies are the cutest and most adorable beings, they require much attention and training – often beyond the time and capabilities of their owners. I’m not in favor of leaving any dog outside alone, many times it doesn’t end well for them. That, of course, is only my opinion. Java is a beautiful puppy and quite fortunate that Carol and you were there to be a safety net, and Ray too. Can’t wait to hear Ray’s take on Java!! She really was a lucky puppy! If nothing else, the traffic on the street could have been a problem. Sounds like you may have a frequent visitor. Since the puppy is happy and alive, I am assuming the Ray was good with her. Perhaps a non-aggressive playmate would be good for him? I agree that it appears the new owners don’t have a clue but sometimes we all start like that. I believe it is their first dog so there will be a learning curve. We will certainly be expressing our concerns and will see if any of it registers. Time will tell! What about Java’s owners? Did they return to get their dog? Hi Michael. Technically no. Their (kids) grandparents took Java back to their house. We will be talking to the “Mom” because we have coyotes and foxes around here who have a proven capability of scaling garden fences if the “prize” is worth it! What they appeared to have done was just plain stupid, and they are very lucky that no wildlife, or vehicle, got her! Java is lucky you & Carol are the ones who decided to take care of her. If I had to venture a guess, I’d say Java is a digger and therefore, the family leaves her out so she doesn’t wreck the house. I wish people would fully understand the commitment. These pups are not just toys. Can’t wait to read about Ray!! Java is certainly a digger so we shall see! Very cute indeed… but I can imagine also “quite a handful” to live with. I just hope that her family has patience and knows what they are getting into. She’s gorgeous, and looks like she’s going to be a handful for her owners. Collies are like that, and if she’s a digger like our Barney was, she’ll soon find her way out! She certainly would appear to be a digger/escape artist!